My notes for this book are primarily chronological, documenting my thoughts on aspects of the story as they emerge. SPOILERS AHEAD! Well. Not many books can pull off opening with a suicide attempt! I have read very little that deals with suicide, and usually it is in a much modern sense - related to problems of bullying, society, etc. I found the sequence extremely well-written, realistic and believable. An impressive start to a solid story. I found the balancing act between is Faina a real girl or not, and what Mabel and Jack believe about her, incredible. At first I fully believed she was something they created but evidence against and for continually emerges throughout the tale. Usually I find I'm able to deduce what's true, or I end up frustrated at the author's ambivalence, but I found Ivey kept the balance well and didn't force one side or the other. You truly cannot tell. Even Mabel and Jack seem to alternate in what they believe about the girl. The balancing act is subtle and believable and not at all frustrating. I had to laugh at how easily I was misled by Garett. I had one question before the story even started - Who will cause Faina's downfall?' and it became pretty obvious it would be Garrett. But not for the reason I thought! I thought after he killed her fox, that would be the start of trouble. But I quickly realized (I even said a loud 'OH I'm an idiot!' as I realized that the two were going to fall in love. The characters and story develop slowly but deliberately and at one point I suddenly found myself caring deeply for the characters (oh poor dear Mabel), who had suddenly become so strong and defined in my mind, and I had this wavering shaky feeling because you just know the story isn't going to have a perfect happy ending. I'm thinking now that the best way to describe this tale is understated, perhaps. Everything is just so well-written, so carefully constructed, nothing is too blatant or over the top or demanding, or even /too/ subtle - everything seems to be written just so, for a beautifully developed story. As someone who went through Canadian elementary school, I appreciated and laughed at the reference to 'The Cremation of Sam McGee' (page 139) :P What a creepy little poem that we studied in grade five! Unfortunately, I did find the ending disappointing. I was expecting more emotional upset - why didn't we see a reaction from Garrett? Because the story isn't about him, I suppose. But I had become invested in these characters and I was braced for tragedy at the end, and then tragedy came but there wasn't much to it and I didn't feel bad for the characters. Perhaps this is a character fault of my own rather than the author's? 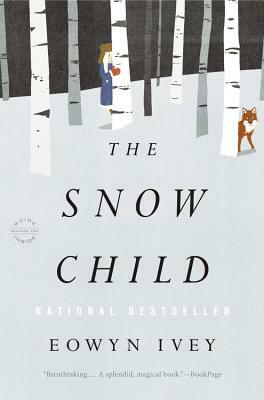 Something to contemplate...overall I though the story was great, a lovely winter read, but the ending relatively weak.